Google CEO Sundar Pichai received nearly $199.7 million in compensation last year, double the amount he made in 2015, according to a filing Friday from Google's parent company, Alphabet (GOOGL). Pichai's base pay was a mere $650,000. On top of that, he received a stock award for $198.7 million. The company's compensation committee attributed the lavish pay to Pichai's promotion to CEO and "numerous successful product launches." 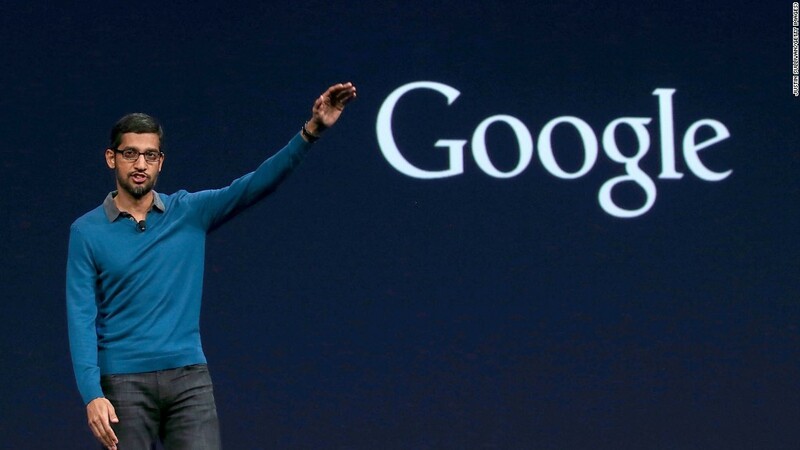 Pichai, a longtime Google executive, took over as CEO as part of a corporate restructuring in 2015. Larry Page, Google's cofounder and previous CEO, shifted his focus to growing new businesses under the Alphabet umbrella. Google's "other revenues," a category that includes hardware and cloud services, hit nearly $3.1 billion in the most recent quarter, a gain of about 50% from the same quarter a year earlier. Alphabet's stock has soared this year, pushing it above a $600 billion market cap this week for the first time.